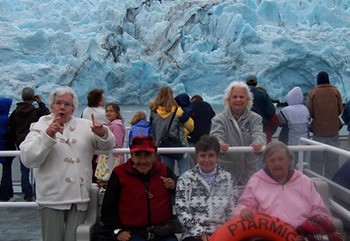 Hearts and Hands/LifeWorks has been providing Day Services, Respite, and Transportation to Southcentral Alaska residents since 1999. If you, a family member, or one of your clients is looking for more physical, emotional, or cognitive stimulation outside the home, we are likely to have a solution for you. We offer safe, reliable transportation; dedicated staff; a homey atmosphere; and an opportunity for folks to see different surroundings, enjoy a variety of activities, and meet new friends. We accept private-pay, Medicaid Waiver, and VA funded clients. We offer a sliding fee scale for our private-pay clients: 2018 Sliding Fee Scale. Please call (ext #2) or email our Case Manager for further information. Or, simply download a copy of our ENROLLMENT FORM and FAX or email it back to us at your convenience. Thank you for considering Hearts & Hands/LifeWorks!